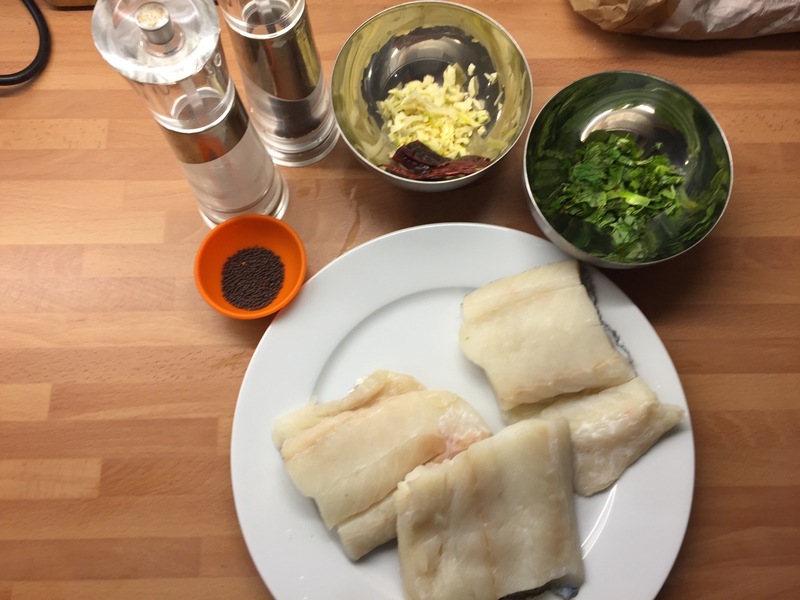 In an attempt to clear out my freezer, an ongoing battle, I cooked some cod for my old school friends. I had a hectic day and was left to cobble something together from the store cupboard. Looking what I had I adapted a recipe that I usually use for stir fried king prawns. I first pan fried the cod fillets in a little butter and oil. Then when cooked I took them out of the pan to rest for a moment while I made the sauce. I turned the heat down and added the dried chillies for a minute or so to impart a bit of heat then added the garlic and mustard seeds and cooked gently for a minute or so. Then I turned off the heat, added the shredded mint, lemon juice and salt. 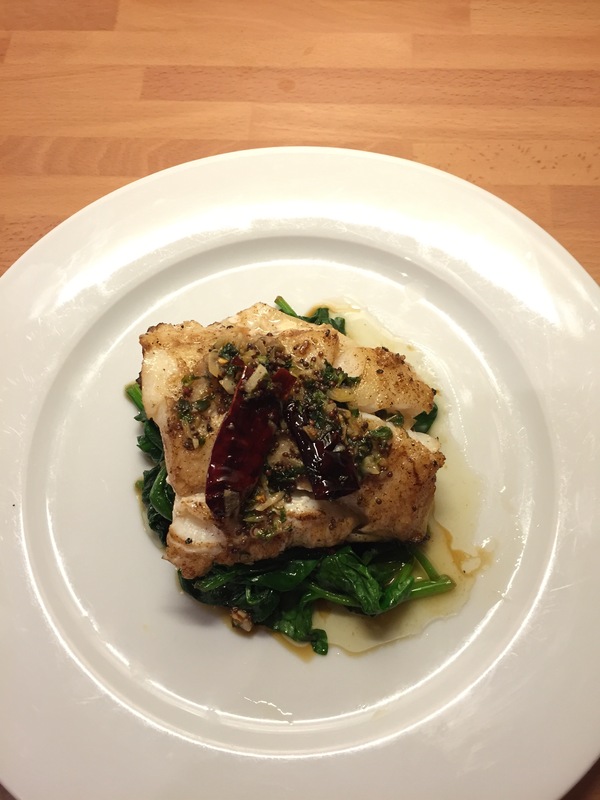 To serve I put the cod on a bed of spinach cooked with sesame oil and then drizzled the sauce over the fish. Delicious and low carb to boot! This entry was posted on February 22, 2015 by paulb in Fish.